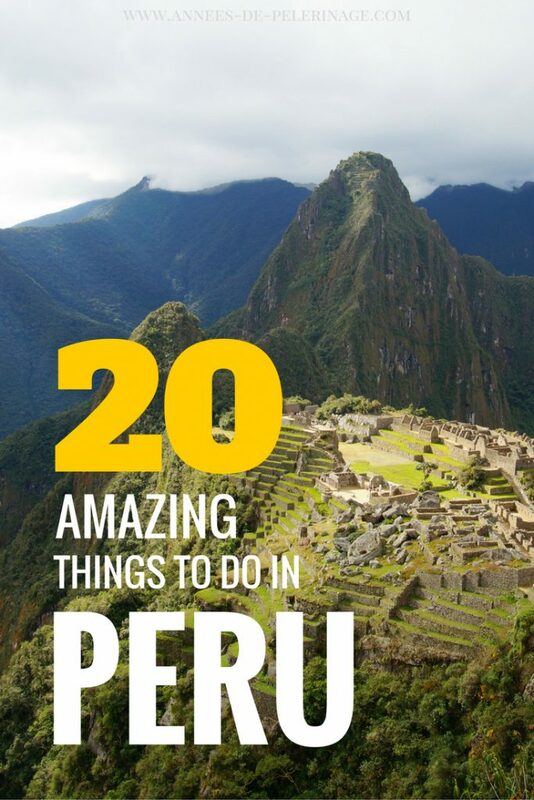 A massive list of 20 must-sees and tourist attractions in Peru. Plan your perfect trip. 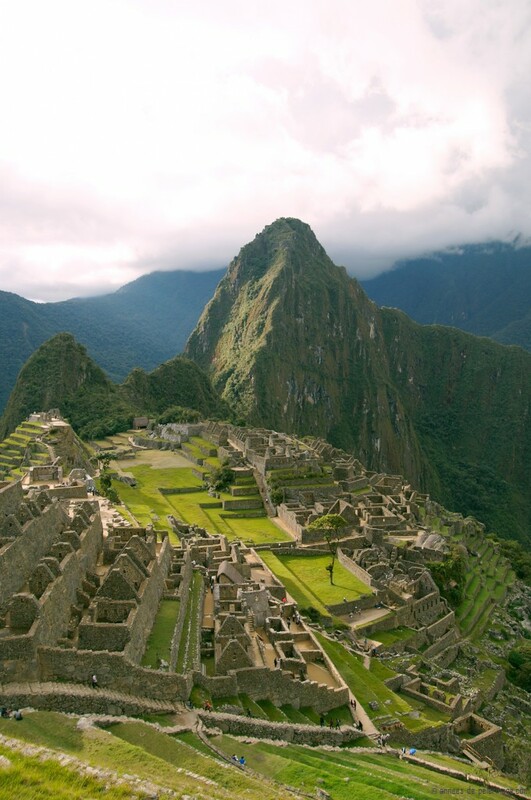 Peru is one of the most versatile countries on this planet. There are high mountains, deep valleys, a lovely coastline, ancient culture and pristine nature. In fact, there are so many unique things to do in Peru that it’s hard not to fall in love with the unique South American country. I certainly couldn’t resist. If you plan to travel to Peru, I got a special treat for you. I compiled a list of my favorite 20 tourist attractions and highlights in the former Inca empire. From Lima to Machu Picchu – I tried to cover it all! If you are already working out a detailed itinerary for Peru, you absolutely must check out my 3-day Cusco itinerary, where I walk you through all the main highlights and insider tips. But anyway, let’s get started, eh? Not sure what to pack for Peru? Read my essential packing list, so you don’t forget badly needed gear or clothing. Try to spend a full day in Machu Picchu, so you can climb Huayna Picchu as well (read my guide here, so you know which tickets to choose, etc). If you are looking for further background information on Machu Picchu, please do read my guide here. You absolutely need to check out my very comprehensive Machu Picchu packing list, as there are quite a lot of things you need to consider before your visit. On a more sinister note, I also wrote a little piece on the dark side of Machu Picchu (yes, it does exist), which you will find here. Lima might be the capital of Peru, but Cusco is its heart. 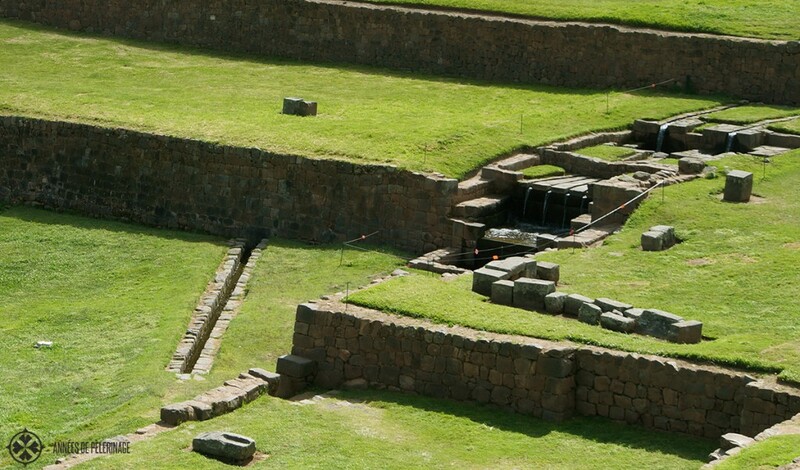 The city was once the center of the Inca empire and much of its former glory remains. Museums, spectacular ruins, and amazing colonial splendor can be found around every corner. Don’t believe me? Check out my article on 20 amazing things to do in Cusco. Of all the cities in South America, Lima surprised me the most. Everyone kept warning me not to go. I tend to ignore such advice and see for myself. And good thing I did, because the city is absolutely amazing. So amazing that I wrote an article filled to the top with all the must-sees in Lima you really shouldn’t miss! The nightlife in lime is fantastic and you really shouldn’t miss the Parque de la reserve (a gigantic water fountain park illuminated by laser shows at night). Machu Picchu is outstanding. But don’t, for even a second, believe it is the only fantastic Inca ruin in Peru. One place you absolutely must see is Ollantaytambo. It was the last big Inca stronghold after the Spanish invasion, and my, what a stronghold it was. As Ollantaytambo is very close to Machu Picchu, it pays off to combine these two. 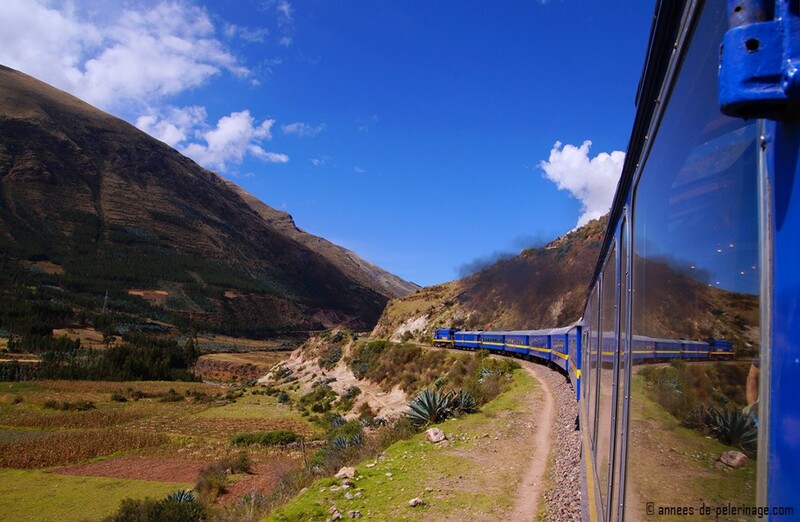 You won’t need a full day for Ollantaytambo, so you could take the train from Cusco in the morning and spend the afternoon exploring the ruins and then take the last train to Machu Picchu. 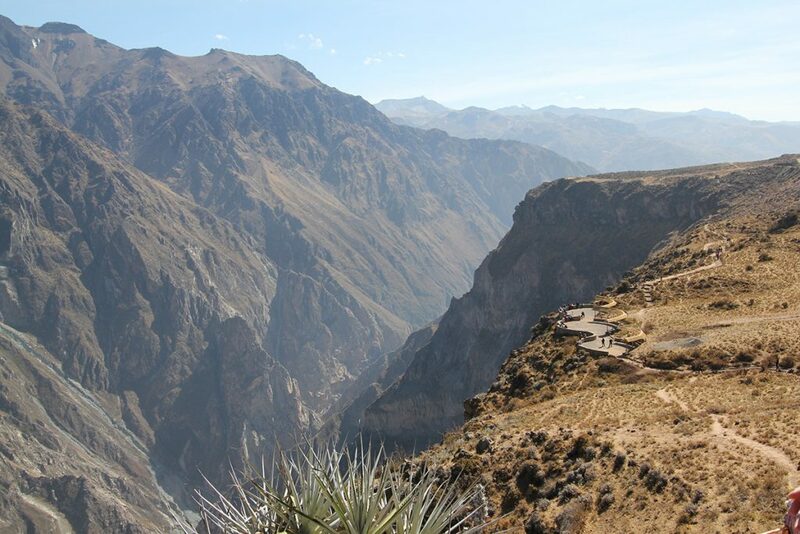 Colca Canyon is the South American version of the Grand Canyon. With an astounding depth of 3,270 meters, it is Peru’s third most-visited tourist destination. 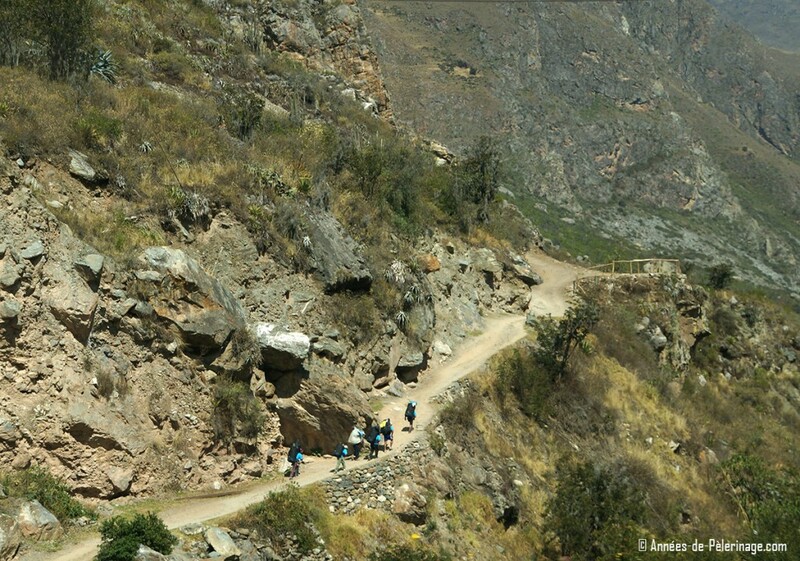 Colca Canyon is the home of the famous Andean condor. After years of preservation efforts, it is now once again possible to see the majestic creature. 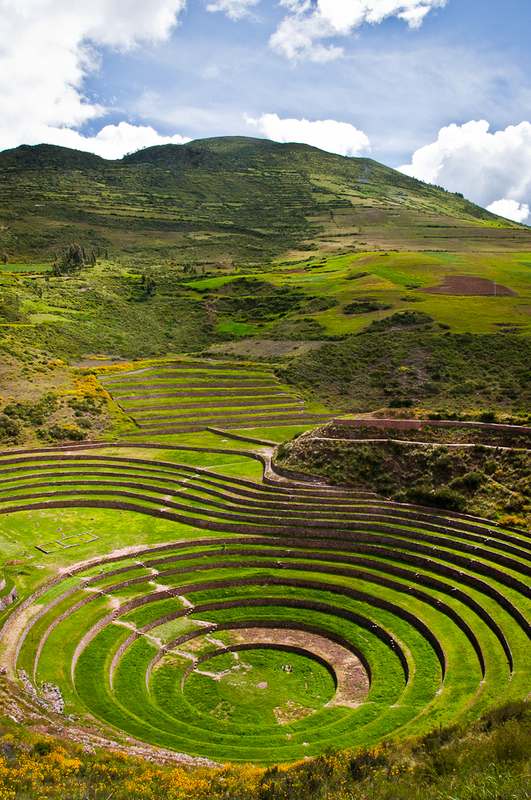 Pisac is one of the many highlights of the Sacred Valley. 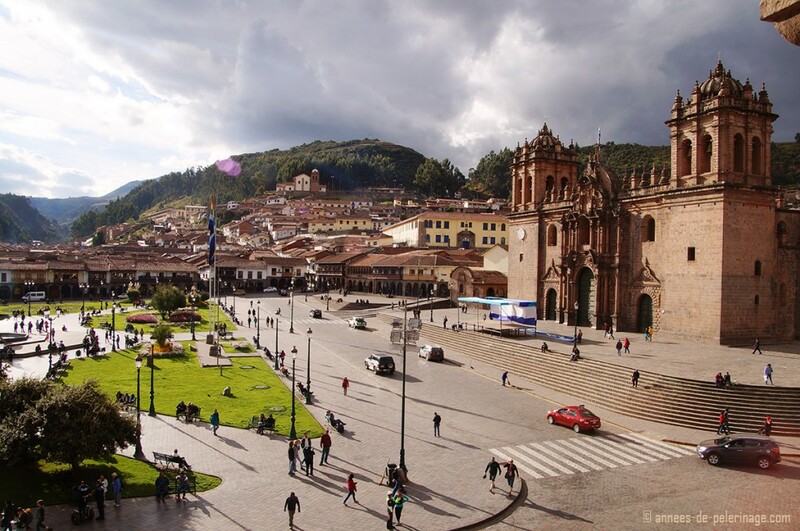 Among tourists, it is famous for its huge market, but also for the fantastic Inca ruins abutting the town. So start your day exploring the archeological highlights and end it shopping for souvenirs! You probably have heard of the Nazca lines before. 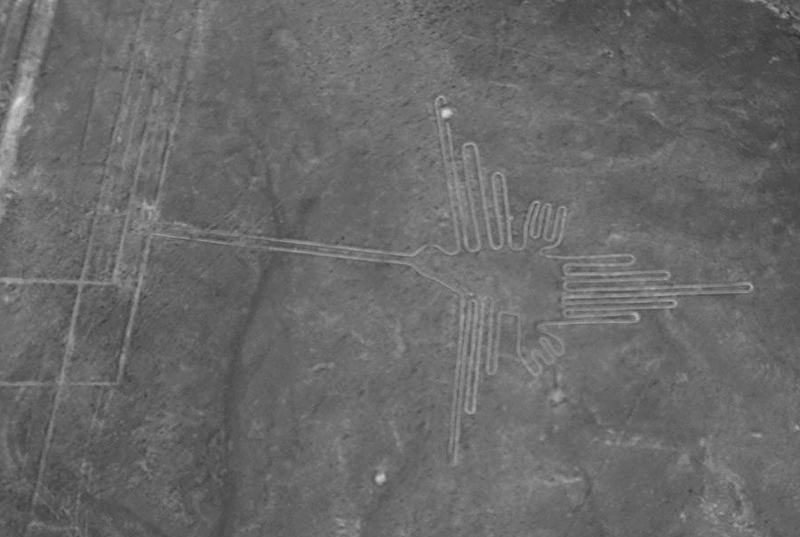 A series of ancient geoglyphs in the Nazca Desert, in Southern Peru. Nobody knows why they were created. Some say they were meant to be seen by the gods, while others think they served some ceremonial purpose. The best way to see them is by chartering one of the many tiny airplanes offering their services in the area. If you are scared of flying, you will be able to see most of the lines and figures from the surrounding foothills as well. 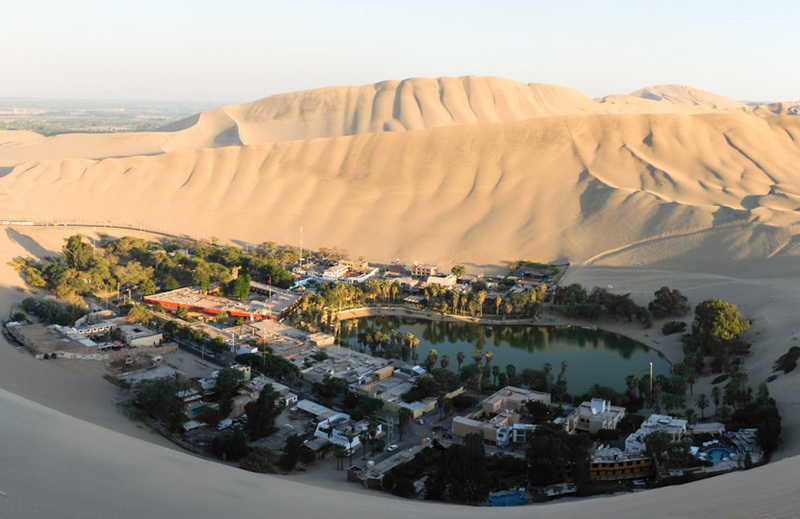 Peru has so many facets and Huacachina is one of them. Why should you visit? The tiny oasis is beautiful beyond belief and will make you feel like you were in the middle of Sahara and not in South America. It is also a hot spot for those who wanted to try out sandboarding or dune buggy riding. It’s a fun day trip option if you are visiting the Nazca Lines. 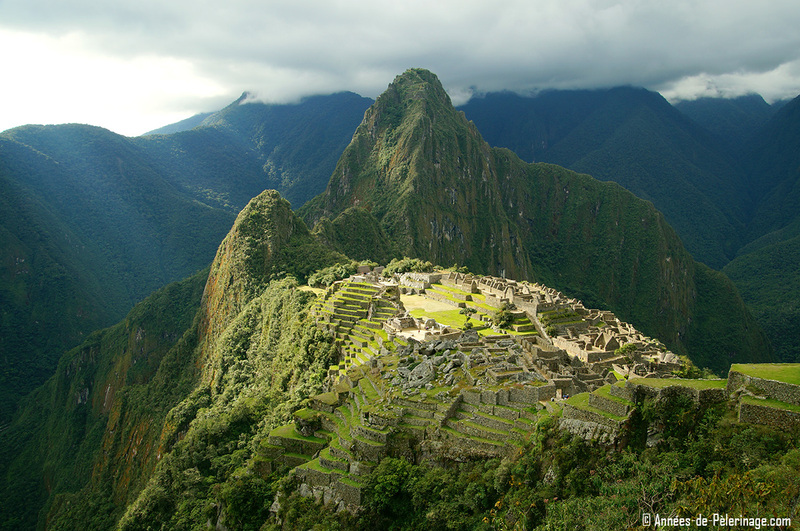 The Inca trail is the most famous approach to Machu Picchu and one of the most popular activities in Peru for tourists. 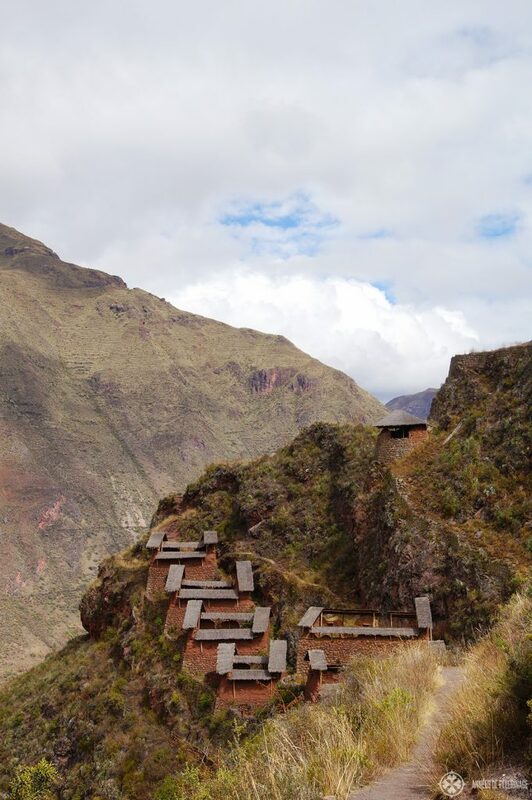 This is the very trek the Inca ones used themselves to enter the lonely citadel. 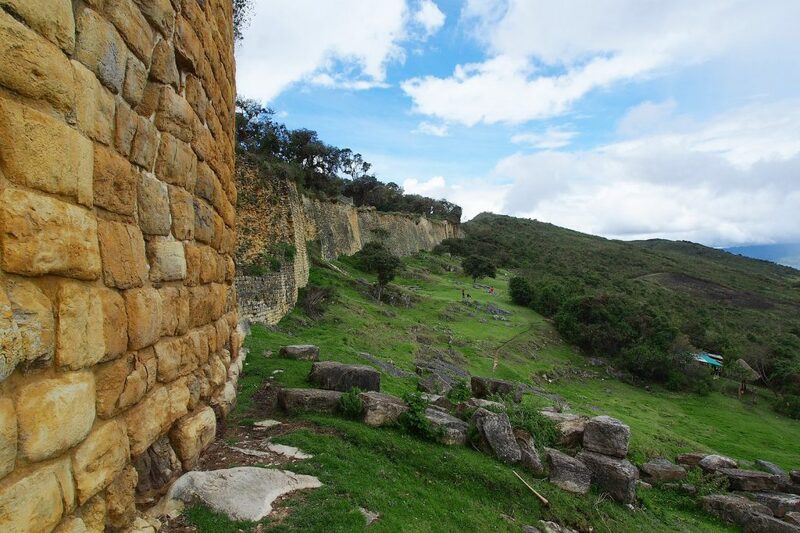 You will need a ticket to do the Inca trail and an official tour agency to accompany you. 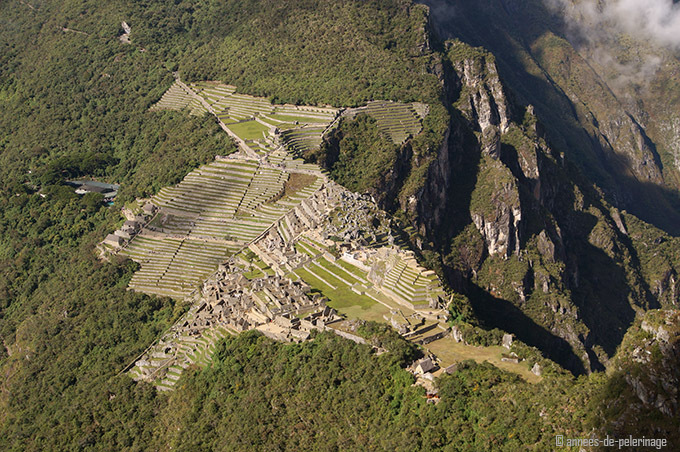 The 4-day Inca trail will let you pass many other spectacular Inca ruins. Only recommended during the dry season. Tipón is one of the lesser-known Inca sites in Peru. But it is also one of the most beautiful ones. Tipón might be best explained as a ritual water garden. Kilometers of water channels intersect carefully laid out terraces. If you want to know more about this amazing place, do read my guide to Tipon (video included). 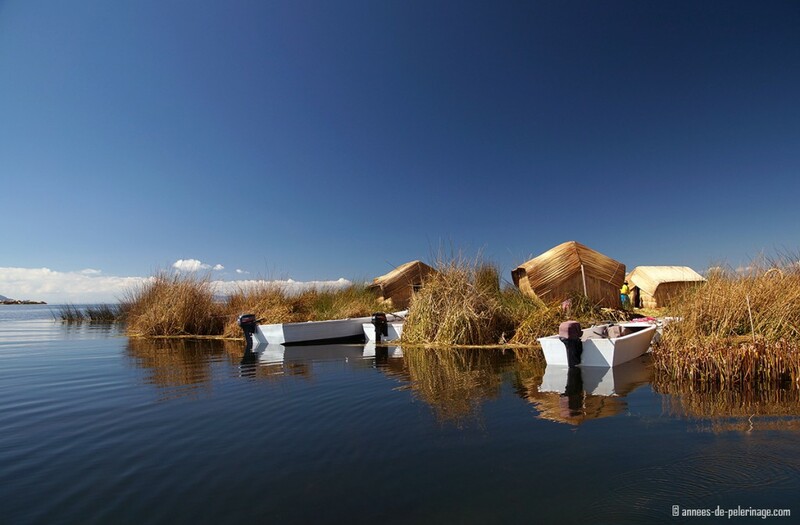 Lake Titicaca should definitely be on your list of things to do in Peru. On the highest commercially navigable lake in the world (3.812 meters above sea level! ), you have the chance to meet the Uros people. This indigenous group lives on artificial islands built from the local reeds. For me, these remote islands are one of Peru’s most fascinating landmarks. Want to know more? Do read about my stay on one of the floating reed islands. Taquile is another of Peru’s hidden gems on Lake Titicaca. The tiny island is a designated UNESCO World Heritage site. Why? Because it is home to a unique community of male knitters who still live the traditional lifestyle of the Aymara. There is no electricity, no running water, and no cars on the whole Islands. A visit almost feels like traveling back in time. I wrote a little article about Taquile here (lots of pretty pictures!). 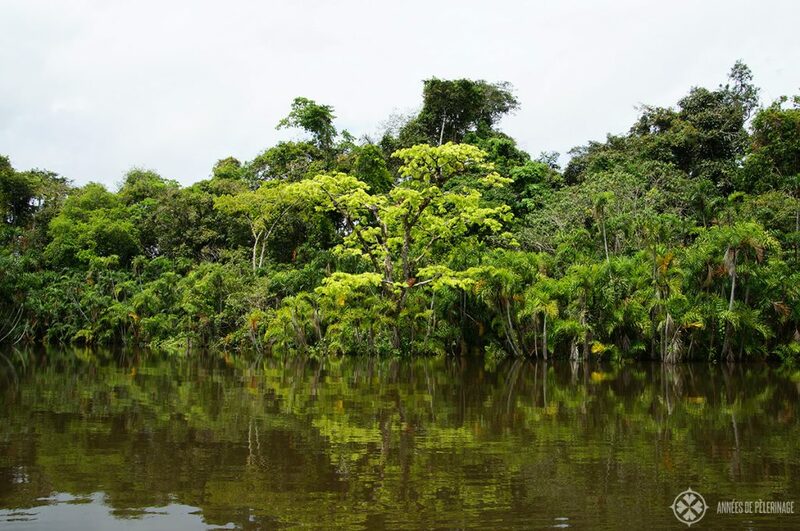 Peru has access to the upper regions of the Amazon Rainforest. If you got the time to spare, you should consider visiting that part of Peru as well. Whether it’s seeing pink dolphins or the mysterious tapirs, exploring the Amazon river is always worth your time. The Maras salt mines are one of the most amazing sites in Peru. These terraced salt evaporations ponds have been in operation for more than thousand years. They are thus older than Machu Picchu, but just as beautiful! 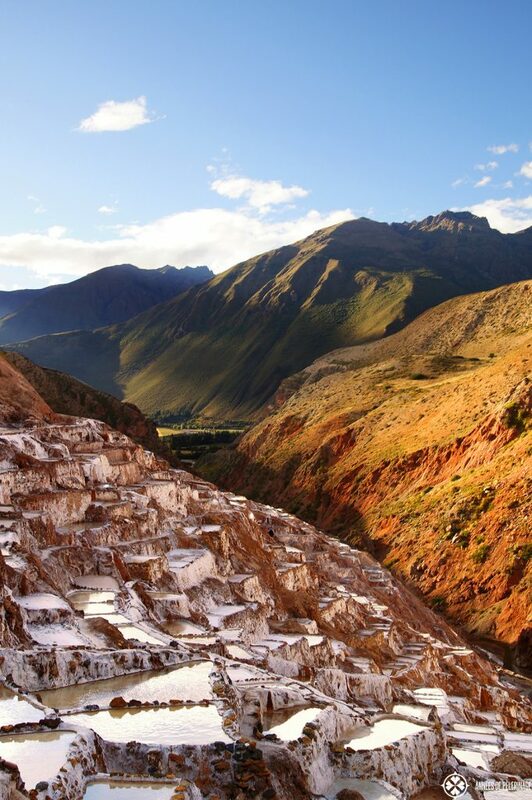 Read all about the Maras salt mines here. Only a couple of kilometers away from Maras you will also be able to see Moray. The ancient Inca site looks a bit like aliens visited here. Most archeologists believe it has been some sort of ritual garden or agricultural laboratory. Each level is said to have a different micro-climate. 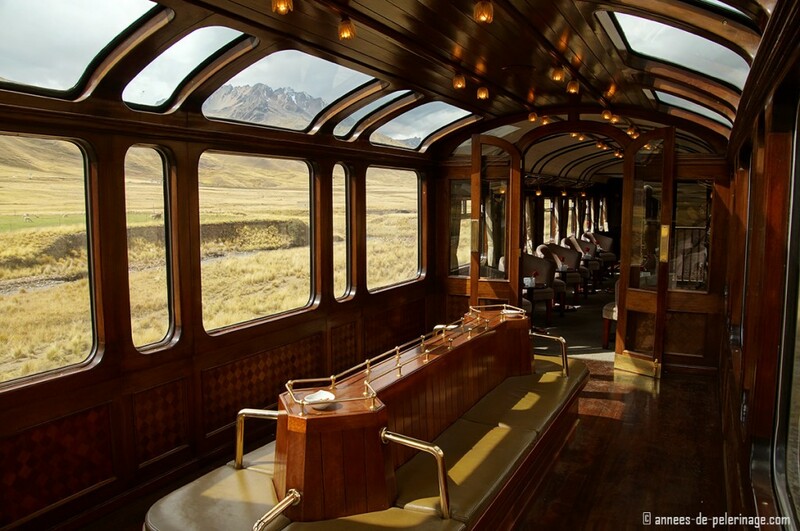 Did you know that one of the 10 most amazing train journeys goes straight through Peru? 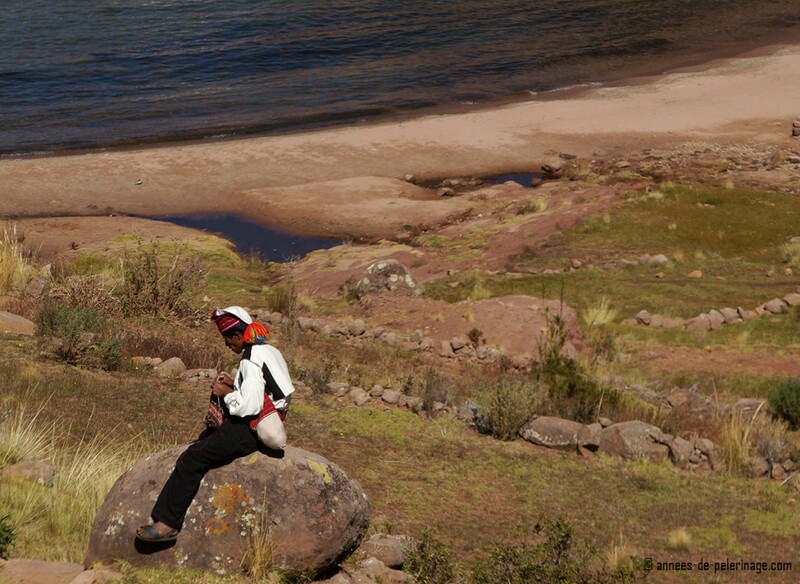 The Andean Explorer will take you from Cusco to Puno in about 10 hours. It might be a bit slower than taking the plane, but I doubt you will regret passing through the jaw-dropping vistas of the Altiplano. Read more about my time on the luxury train here. Peru is loaded with ancient culture. That’s why you should consider making some lazy time at the beach. The Pacific coast might be a bit rugged, but still worth a visit. There are quite a couple of very lovely beaches in Peru, like Mancora Beach. 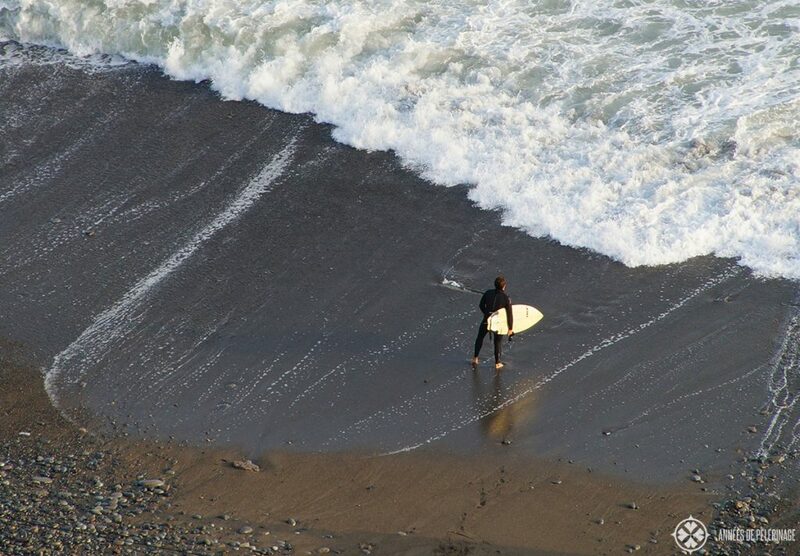 Even in Lima itself, you will be able to go surfing! If you got the time, you might want to do a trip down to Pisco and visit the Islas Ballestas, often called the poor man’s Galapagos. You probably have to calculate two days for that trip. Never heard of Chan Chan? It is the largest pre-Columbian city in South America. 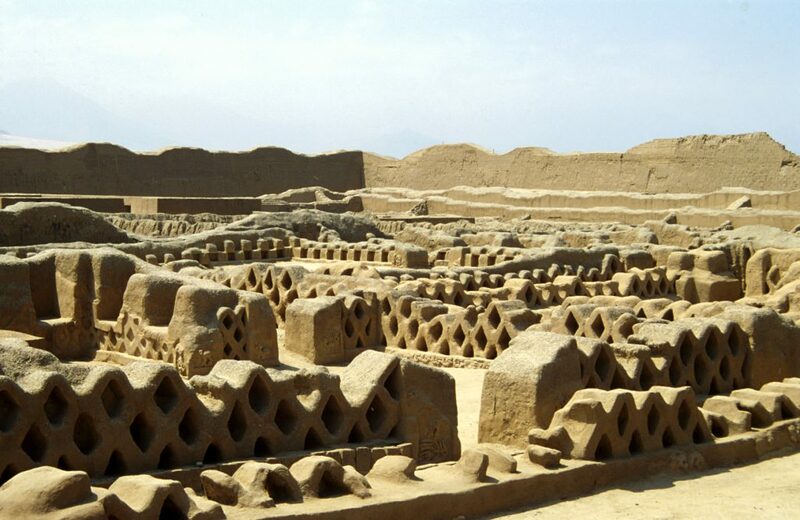 The archeological complex spans some 20 square kilometers in the most arid part of Peru. In 1986 the UNESCO designated Chan Chan a World Heritage site. Do visit! Peru is a country of high mountains and alpine wildlife. Definitely put at least one trek on your list of things to do in Peru. The most amazing place to hike in Peru is probably the Rainbow Mountains (also called Vinicunca) in Ausangate, not far from Cusco. Rent your own car and enjoy one of the most spectacular day trips ever! In recent years, many international hotel chains (and some locals) began investing into Peru. 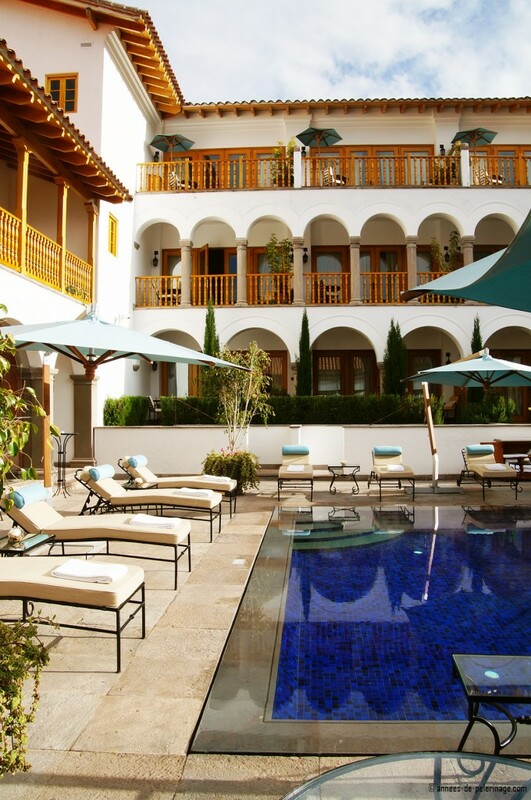 These days you will plenty of wonderful luxury hotels in Peru, catering to your every wish and whim. I visited most of them and wrote an article about the 5 best luxury hotels in Peru. Why not check them out, when you travel to Peru. I want to end this article the way I started it. Peru is one of the most versatile countries on this planet, and this article didn’t even cover half of your options. As most tourists tend to focus on Cusco and Machu Picchu, large parts remain virtually undiscovered. So while one week in Peru might cover most of the highlights, it is easily possible to spend a month or two without a single day of boredom. The amazing Huayllay stone forest didn’t make it on my list of Peru’s famous landmarks and neither did the Ampay National Sanctuary. All of them would be great further choices. As this guide is already quite long, I really didn’t have the time to touch the topic of popular foods in Peru. Know then, that Peru’s ancient delicacies are beyond amazing. The first time you taste the native corn or potatoes, you will feel like you never quite tasted these basic food staples of our western world before. They are a hundred times more delicious here (and I am not exaggerating!). Personally speaking, I’d recommend staying in Peru as long as possible, rather than trying to squeeze in all of South America in one month. If you still need some inspiration, read my detailed Peru itinerary. Also, consider adding another week to visit Ecuador. I can highly recommend visiting the Galapagos Islands, but obviously, there are endless other options as well. I also compiled a detailed packing list for Peru, you might want to check out! So I hope you liked my little list of 20 amazing things to do in Peru. If you got any questions, feel free to ask them in the comments below. Also, remember to pin this article for later! Nice article ! I just came back from Peru and I am a little bit surprise you are not listing some spot from the North. I tink specially to Huaraz/Caraz where you can find incredible hikes or treks : Laguna Churup, Laguna 69, Santa Cruz trek in Cordillera Blanca. In this Cordillera is located one of the most beautiful mountains of Peru : Huascaran (highest peak of Peru), Artesonraju (Paramount’s mountain) and Alpamayo (elected most beautiful mountain in the world). The Puyas de Raimondi in Cordillera Negra. And, the last but not least, Huyahuash trek in Cordillera Huyahuash which is considered as one of the most beautiful trek in the world. thank you for this amazing input. I did not include a lot of treks because most of my readers are not focused on that kind of activities. Also, I grew up in the alps, spent my whole youth in the mountains, and it does get repetitive after a while ;-) Still, thank you for the amazing suggestions. I am sure, there are a lot of people who will find them extremely helpful! Sure no problem, I was just wondering :) I totally understand your reason. Great articles on your site, keep going on. Tremendously helpful and enjoyable guides! Thank you! Really looking forward to my trip! Thank you so much Amy! Peru is a lovely country – I am sure you will have the time of your life! Peru is on the top of my bucket list and you just tickle my wanderlust even more. 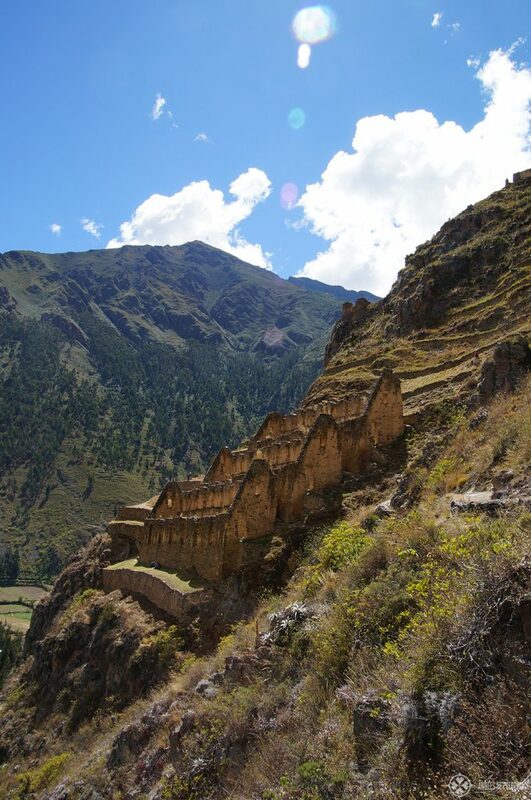 I haven’t heard about Ollantaytambo before, thanks for sharing, I would definitely visit it when I travel to Peru. Wow! No word to describe the beauty of Machu Picchu. Seriously this place has made my excitement to a height. I am planning to go there October this year, if anyone has already visited, please let me know about, weather, seasonal rates, etc. Good pictures too Norman! Thanks, Norman! Your article is great and just makes me more excited to visit Peru. My son and I are actually traveling to Peru in just two weeks! We are hiking the Inca trail, spending time in Cusco, spending three nights in Ollantaytambo, with plans to visit Pisac and Chinchero markets and ruins. Do you have an tips for market/souvenir purchasing? Also, do you have food recommendations? may is a great time to visit Peru! You will certainly enjoy it. As for souvenirs: I loved them. There are lots of alpaca wool products (hats, blankets,etc), but also beautifully embroidered pillows. Peru is one of the most versatile countries on this planet. Its most attractions are high mountains, deep valleys, a lovely coastline, ancient culture and pristine nature. I compiled a list of my favorite attractions place of Inca Empire From Lima to Machu Picchu and I have planned to visit this beautiful place this year with the help of “Green Peru Adventures”. Thanks for sharing. Wow! I love your articles Norman. You have a great way of enhancing the beauty and versatility of this amazing country. We leave for our trip in a few days and you have made me more excited and even more prepared!Thank you so much…..I have even printed off some off your articles for my partner to read on our flight over from Australia! Wow, thank you Robyn! I hope your partner enjoys my articles as much as you did. Oh, and enjoy your time in Peru. June is a good time to visit! I am heading to Peru next week and found this super helpful!! Thank you so much for the ideas! glad I could be of help. I do have a guide on Lima on my blog. Just use the search function in the menu. Hola Norman, muchas gracias por esta guia, estoy seguro que me será de gran utilidad. Desde ya me siento con muchas ganas de visitar el Perú. Las fotografias que has hecho me parecen fantasticas y dan muestra de la belleza y la majestuosidad del paisaje. Sin duda creo que será un viaje al que tengo que acudir. Hi Norman, what a detailed article! I’m peruvian and I loved your article. 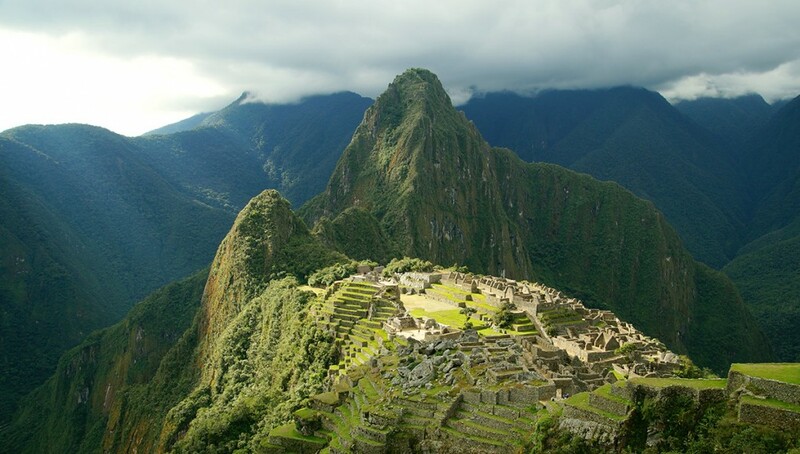 Peru is one of the most versatile country. 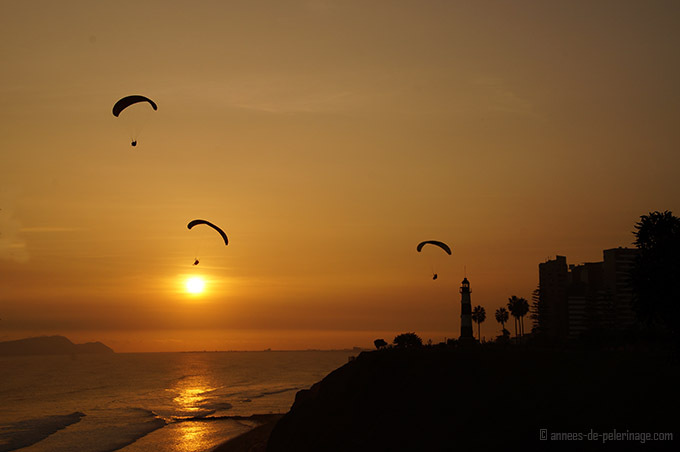 You can enjoy it knowing about our ancient culture, visiting historical ruins, even in Lima, or doing adventure sports such as rafting, zip line, paragliding, bungee jumping, trekking or eating different kind of dishes. Our different microclimes give us a lot of kind of vegetables, fruits and potatoes. Enjoy my country! wow! you can’t possibly know how much it means to me when a local says he loved my article! And I agree, Peru is one of the most versatile countries on this planets and I can’t recommend it enough. Wow . Thank you for sharing your experience . Sounds amazing . My husband and I will be able to take a trip in June without our children . And after going over every caribian island we some how ended up in Peru . We only have 7 night which worries a bit . We want to experience culture , of course Machu pichu is priority , train ride and hop the beach … i think that is realistic . I worry we don’t have enough time …. also is it best to use a travel agent or do your own planning ? that is not a question I could possibly answer. I never use a travel agent, but I feel they can add tremendously to any visit. Oh and amazon rainforest would be nice visit . Is this all at all realistic ? if you are just staying 7 days, then the Amazon rainforest is not realistic, especially if you plan to make Machu Picchu a priority. Ok . Thank you for the quick reply . I will be doing more research . Your page is a lot of help . You don’t need to worry about Malaria in the Andes, but before you drop down to the Amazon rainforest you should think carefully about whether or not you should take the chance of getting malaria, or the nasty side-effects of anti-malaria drugs. You should be safe as long as you stay above 1500 metres – use Google Earth to check on the altitude of each place you plan to visit.